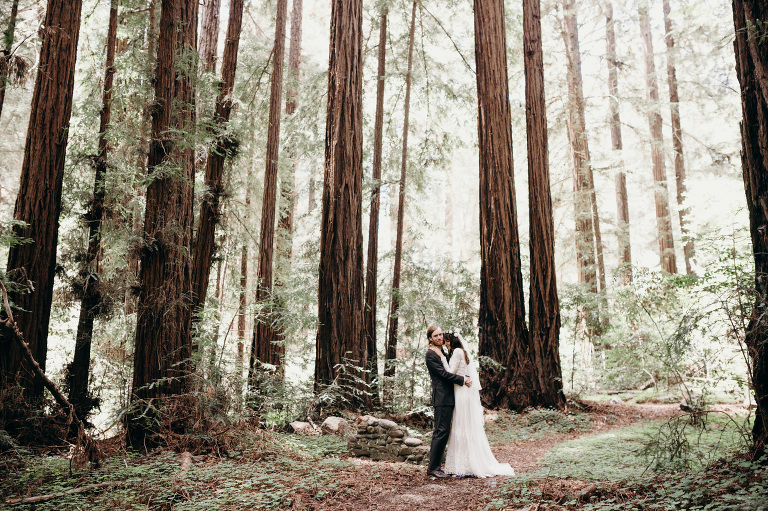 Redwood forests are a really popular type of wedding venue right now, and I’m completely on board with that! Especially since I live in the middle of redwood mecca. But there is a problem. 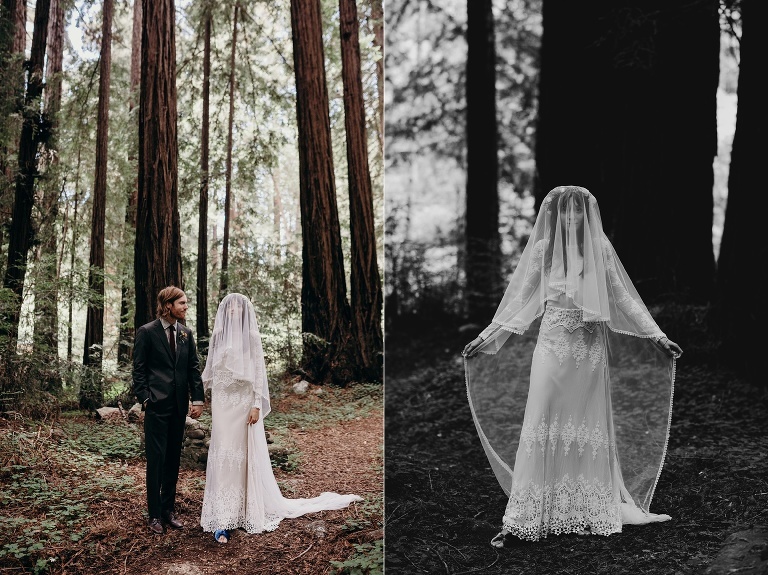 So many couples want to plan their destination weddings in redwood forests, but it’s hard to really know how great the venue is without being there in person. Why? Because there might be a cool grove of trees where most photos are taken, but turn around and there’s a different story like an ugly building. Or it simply feels like you’re just in someone’s backyard instead of a forest. Or something about the venue doesn’t complete the nature experience you’re going for. I LOVE venues where you feel swallowed up into wild nature from every angle. 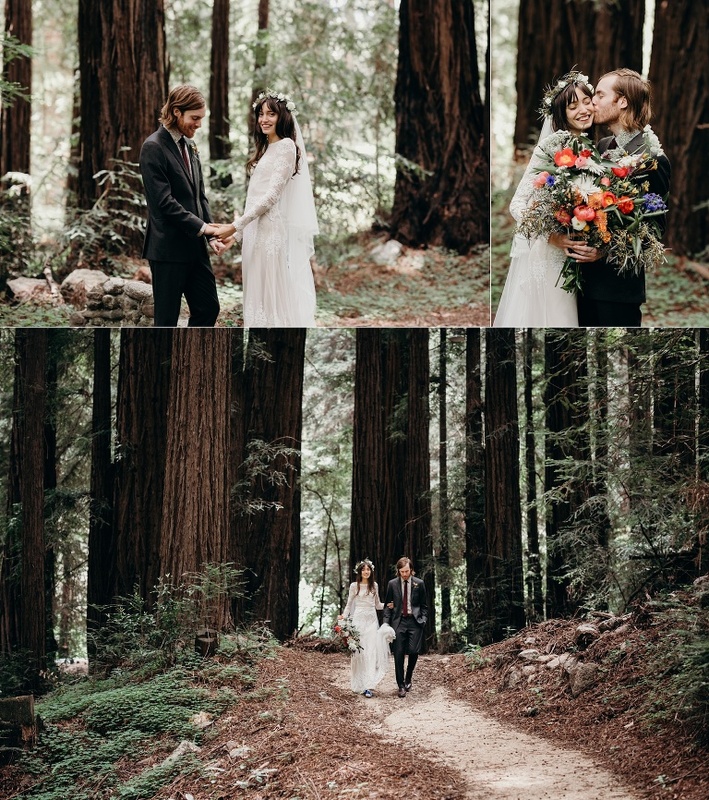 That’s why I’ve put together this growing list of my favorite redwood forest wedding venues in California! 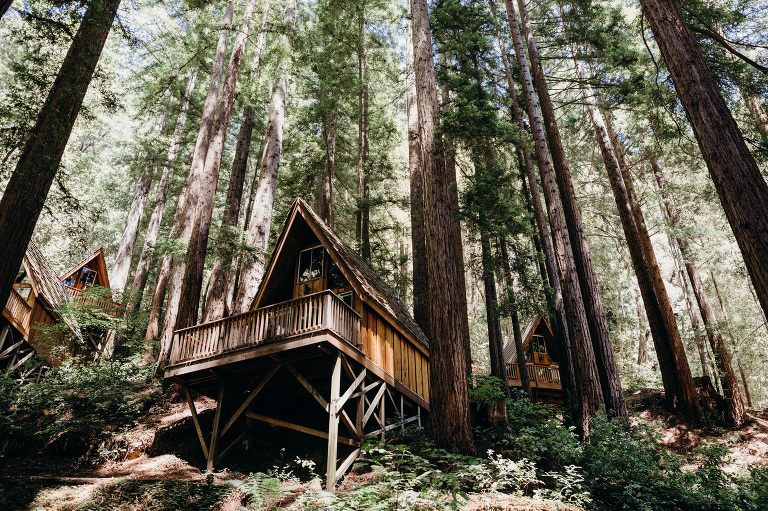 Glen Oaks is a lodge and event venue that is spread out into many little cabins and rooms on both sides of Highway 1 in Big Sur. The river runs right through it. Take a hike through the Glen Oaks property and you’ll feel like you’re really in the woods. It’s a powerful feeling, especially since it’s so easy to access. The cabins are modern and pretty dang chic, too. You can plan an elopement here or a full on wedding down by the river. Click here to see the blog post from Dana and Jack’s wedding pictured below. I wrote a whole blog about this venue here! Waterfall Lodge is a gorgeous venue retreat in the Santa Cruz Mountains, about 30-40 minutes from Santa Cruz. You have a choice from two different sites for your ceremony, and nice patio areas for the cocktail hour and dinner. A beautiful barn built from reclaimed wood serves as the dance space. There are even a bunch of cool little 1970s cabins for you and your guests to stay in, summer camp style! Book this place out for the weekend and you have an instant private retreat. Uniquely situated just outside the city of Berkeley, this stunning venue is surprisingly nature-filled. But then again, it is a botanical garden! The UC Botanical Garden has a really neat-o amphitheater in the middle of a breathtaking redwood grove. Guests enter through a special side gate into this lush land of trees to witness the ceremony before joining the reception. Receptions are held a short walk away in one of two halls in a different part of the garden. Here there is an amazing tropical greenhouse and an arid house. You and your guests can wander through the paths around the redwoods and through the garden. Its a beautiful experience with no shortage of photo opportunities. This venue is best for smaller weddings since the reception halls are intimate. But, you can host a fairly big group for your ceremony here and then party elsewhere! Berkeley is a 5 minute roll down the hill. Click here to see the full post of Andrew and Emma’s wedding day at this venue! Island Farm might be the real showstopper on this list. This venue is part of a working ranch that encompasses breathtaking hilltop views, ponds, a creek, and lush giant redwoods. It is located near Half Moon Bay, California. You will have a magical day filled with wild, inspiring nature if you’re lucky enough to snag one of the limited dates at Island Farm. Two tastefully built deck areas host the dance floor and ceremony beneath a crazy redwood canopy. There’s a lot to stay about this special family-owned venue! Click here to see the full blog post of Justine and Keith’s wedding at Island Farm. The Island Farm is an exclusive, private estate and doesn’t have a website. For information about weddings at this venue, contact Paula Le Duc Catering. Want to see other great wedding venues? Check out this blog post about Santa Cruz area wedding venues!